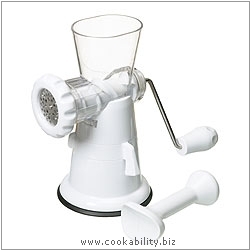 This meat mincer is simple to assemble and disassemble for easy cleaning. It fastens to most work surfaces using vacuum action so that it remains stable in use. Complete with two blades for either coarse or fine mincing.